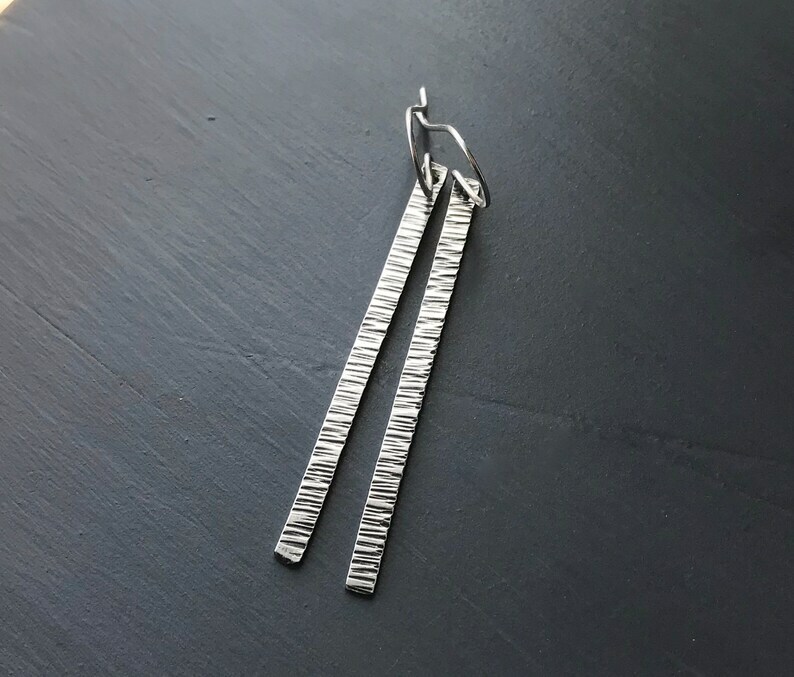 These earrings are made using rectangle sterling silver wire that's been hammered, oxidized, then polished for an antiqued silver finish. I use a specific hammer that gives these a bark-like appearance. 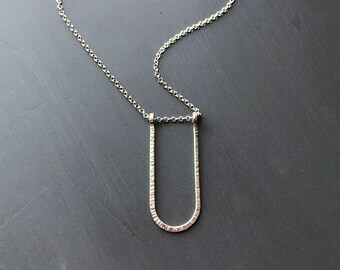 Total length from top of ear wire to the bottom of the dangle is 2.5". 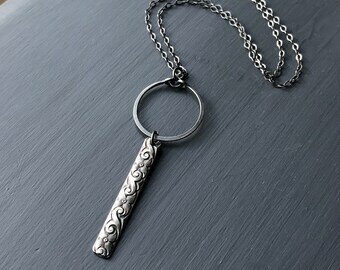 Bar dangles measure 2". Beautiful stylish earrings. I wish they came in bigger size! These are so much fun. They are a great staple, go-to pair with a little fun twist. Nicely made. Thank you SO much!